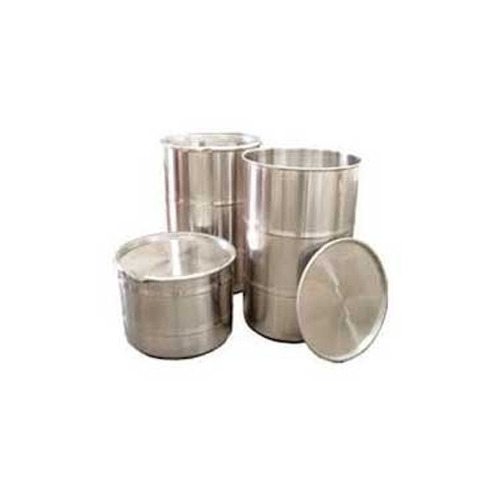 Prominent & Leading Exporter from Kochi, we offer stainless steel drums. Owing to our rich industry experience and knowledge of this domain, we have become the foremost manufacturer, exporter and supplier of Stainless Steel Drums. We manufacture these drums by using premium quality stainless steel that is procured from reliable sources and contemporary designing techniques. For assuring its quality and durability, our drum is perfectly checked by our experts on numerous quality parameters. Moreover, our drum is provided as per customer’s requirements. Looking for “Stainless Steel Drums”?